Bilingual Education: The McKay School’s new bilingual minor will prepare students to teach native Spanish and English speakers in a dual-immersion environment. New Associate Dean: Nancy Wentworth has been named the associate dean over teacher education. Woodworking Honors: At the 2008 International Woodworking Fair, Jonathan Cox (’09) won first place in the design creativity category for his queen-sized bed frames and Brady Cutler (’09) won second place in the contract furniture category for his 4-foot diameter design, The Clock. Setting the Pace: BYU students led a team from 20 universities in nine countries to create a Formula One race car for Partners for the Advancement of Collaborative Engineering Education (PACE). Massage Benefits: Massage and other supportive and caring touch lowers stress hormones and blood pressure while enhancing a hormone thought to counter stress, according to research produced by psychology assistant prof Julianne Holt-Lunstad (BS ’94) and published in the journal Psychosomatic. Baby Tunes: Babies as young as 5 months old can distinguish between upbeat and gloomy music, evidencing that the brain’s ability to detect emotion develops early, according to associate prof of psychology Ross Flom’s research, which was published in the journal Infant Behaviour and Development. Carnegie Hall: In August the Chamber Orchestra performed for a full house at Carnegie Hall, one of the United States’ most famous venues. Literacy PSA: The BYU Ad Lab cooperated with Walt Disney Studios and the Geppetto Group to produce public service advertisements that inspire young people to “explore new worlds” through reading. Friend of Freshman: Rec management and youth leadership prof Howard R. Gray (BS ’69) received the 2008 National Distinguished Service Award from Phi Eta Sigma, the nation’s oldest freshman honor society. 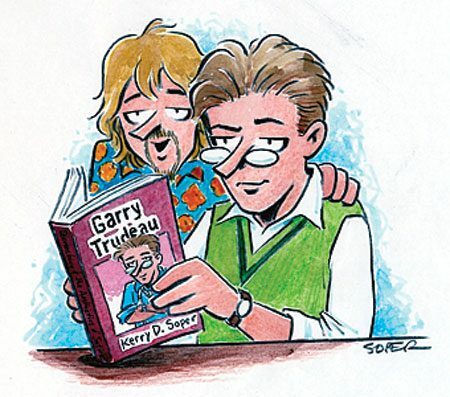 Doonesbury Book: Humanities associate prof Kerry D. Soper chronicles cartoonist Garry Trudeau’s 40-year career in Garry Trudeau: Doonesbury and the Aesthetics of Satire. German Honor: Randall L. Jones (BA ’63), emeritus German prof and former dean of the college, received the 2008 Outstanding German Educator Award from the American Association of Teachers of German. Dean Team: James D. Gordon III (BA ’77) has been named interim dean of the Law School. Kif Augustine-Adams (BA ’88) is the associate dean for research and academic affairs, and Thomas R. Lee (BA ’88) has been named the new associate dean for faculty and curriculum. 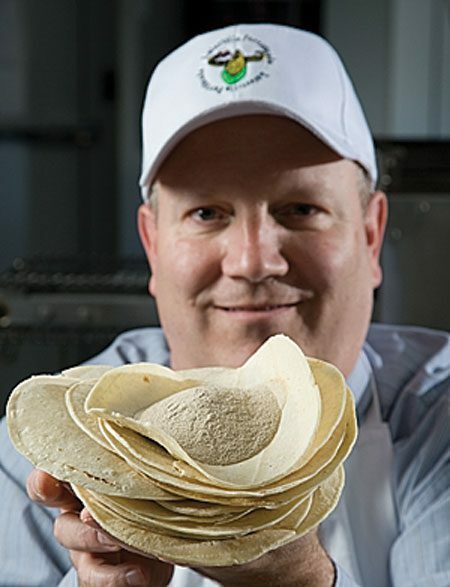 Nutritious Tortillas: BYU food scientist Michael L. Dunn (BS ’87) and his research team have fortified corn tortillas with vitamins and minerals that are too often absent from Mexicans’ diets. Food Fight: A team of food science students won top honors and $10,000 in the Product Development Competition at the Idaho Milk Processors Association Annual Conference. Top Tier MBA: BusinessWeek’s latest rankings place BYU’s MBA program 22nd in the nation, the program’s highest ranking yet. Family Friendly: The Princeton Review named the Marriott School the nation’s most family-friendly business school. 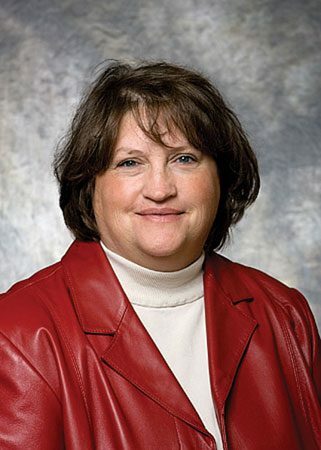 Nursing Fellow: Dean Beth Vaughan Cole (PhD ’78) was inducted into the American Academy of Nursing as a 2008 fellow. Simulated Nursing: At the National League for Nursing Education Summit, assistant dean Patricia Kay Ravert (BS ’75) presented her work on a program of nine online courses that are designed to help nursing educators effectively use patient simulation. Math Award: Michael J. Dorff (BA ’86), an associate math prof, received the 2008 Mathematical Association of America Distinguished Teaching Award for the Intermountain Region. Poster Award: Jordan Smith (’09), a chemistry undergrad, was recognized with the Student Poster Award from the Society for Applied Spectroscopy; joint authors on the poster were Nicole Gib Taylor (BS ’08) and John-David McElderry (BS ’07). FARMS Director: Paul Y. Hoskisson (BA ’69), a professor of ancient scripture, has been appointed director of the Laura F. Willes Center for Book of Mormon Studies and the Foundation for Ancient Research and Mormon Studies.